Cough (Bordetella pertussis) under a microscope! 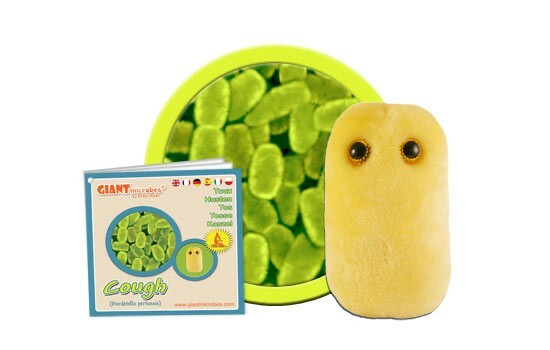 Coughs aren't just for smokers anymore -- now anybody can get one! FACTS: Coughs are very common and can be triggered by a variety of factors including smoking, allergies, and even heartburn (as well as more serious conditions such as asthma, tuberculosis, congestive heart failure, and lung cancer). 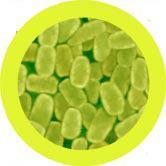 But many coughs, particularly in young children, are caused by microbes. While common cold and flu viruses can cause ordinary coughs (which can often be relieved with humidifiers and cough syrups), B. pertussis bacteria causes “whooping cough,” a serious cough that can go on for over 6 weeks. Coughing spells, up to 40 a day, can last over a minute and often end with a “whoop” of gasped air. While in older children and adults the risks are generally slight, small children can suffer oxygen deprivation and turn blue. Fortunately, the DPT (diphtheria, tetanus, pertussis) vaccines have hugely reduced incidents of whooping cough, particularly in young children. In countries where vaccination is common practice, whooping cough fatalities have declined from tens of thousands a year to a few dozen. Whoop-ee! But don’t whoop it up: the vaccine wears off over time. Although reported cases of whooping cough in industrialized countries are now very low, it is believed that a significant number of adult coughs may actually be whooping cough. If you think you have it, ask your doctor: antibiotics can help you whoop it. Coughing is an action that the body does when there is something irritating the air passages. 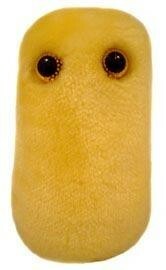 • Everyone coughs, everyday. This is because we are constantly clearing our airways of pollutants. • Illness related coughs are very common as well, as it is a major symptom is colds. The best ways to relieve a cough are water (fluids to clear out the passage way), antihistamines (for allergy related coughs) or cough medications (when there is an illness involved). Coughing itself is not contagious, however, if the cough is caused by bronchitis or the flu those infections can be spread.